In the past, they knew it. Yet thousands of years later we still don’t get it. We are seeing an increase in diabetes and obesity all over the globe. The World Diabetes Foundation and The World Health Organization have recognized that since 1985 over 200 million people worldwide have developed diabetes. I recently attended a conference for primary care physicians. These doctors are treating the general public for the common diseases of the modern world. There seemed to be a common theme. Yes, genetics and socio-economics play a part. But mostly we are treating the effects of bad patterns of behavior. I was somewhat saddened by the number of health care practitioners who were overweight. If you are an overweight parent, then this blog is not for you. Well, technically it is but it really is for and about your children. Obesity appears to be integrally related to many of the conditions/diseases being treated today. Foods, diets and patterns of behavior related to food ingestion seem to impact every system and cell in our bodies. It has moved into the national consciousness. The First Lady, Michelle Obama, has taken on the cause of childhood obesity and proper nutrition. In the July 13th issue of JAMA (The Journal of the American Medical Association), the point is being made for state intervention in life-threatening childhood obesity, and they are calling for laws to take children away from their parents because it could be considered a form of child abuse. This is an opportunity to consider helping your family and the health of all people. We know it is easier to prevent weight gain than it is to healthfully remove excess weight. However, if your child is already overweight, there is still a lot you can do: healthy snacks, health awareness, encouraging appropriate patterns. You may need some assistance from others who are experienced and knowledgeable regarding the best, safest and healthiest methods. Take a pro-active responsibility. Otherwise the odds increase that your children will be receiving treatments for potentially preventable conditions/diseases by the primary care physicians of the future. Let us change the twenty-first century Hieroglyph. Glenn’s latest CD, Sleep Suite, is now available online. 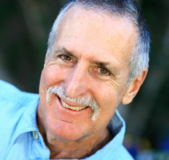 For questions or to visit Dr. Glenn Wollman’s web site, connect with him through YogaHub. PREV ← What is Healing?